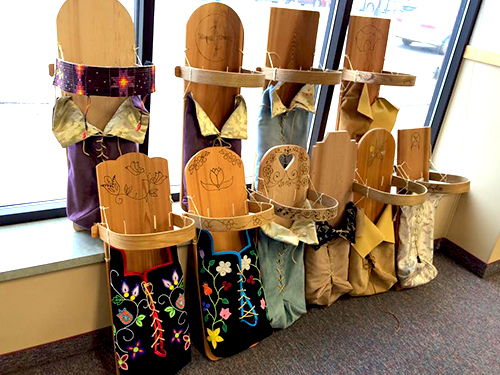 In 1980 The Minneapolis American Indian Center (MAIC) received a grant from the Dayton-Hudson Foundation (Target Foundation today) to broaden communications to serve the growing Native American community. From that seed The Circle was born. Volume One, Number One emerged from a basement office at MAIC on March 1, 1980. At the time of that first issue, the Twin Cities metropolitan area had 23,000 self-identified Native Americans. Today that number is over 37,000 in the 11 county metropolitan area, according to the 2010 census, more than half the total population of 60,931 identified Native Americans in the state. 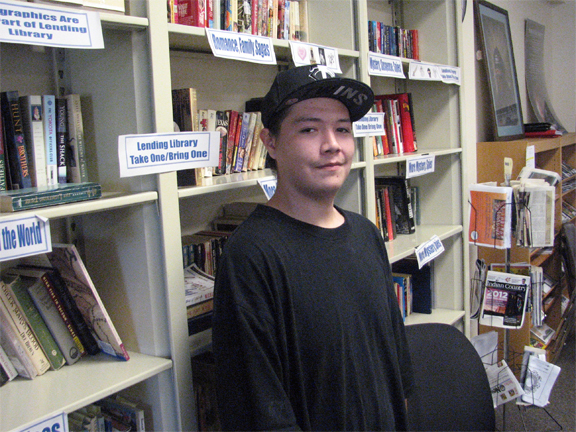 For 35 years, The Circle has provided news and information unavailable anywhere else, Native voices speaking to and about one of the nation’s largest urban Native communities, becoming an independent 501c3 nonprofit corporation in 1995. Along the way The Circle garnered many awards, including Best Native American Monthly in Canada, and the US from the Native American Journalists’ Association, and Best Community Newspaper from the City Pages. The roll call of The Circle editors is impressive: Lori Mollenhoff, Sandra King, Rob Greengrass, Juanita Espinosa, Gordon Regguinti, Mike Bassett, Ruth Denny, Mark Anthony Rollo, Joe Allen, Catherine Whipple, Alfred Walking Bull, and Catherine Whipple again. In addition, many writers, photographers and artists were launched and supported on The Circle pages. For 25 years, until his recent retirement, Jim Northrup entertained readers with “Reservation Follies.” Columnist Kristine Shotley, AKA “Ricey Wild,” continues today with her hilarious tales from Rezberry; newcomer columnist Nick Metcalf shares his views of the “Rez-born, Urban Raised,” Mark Trahant reports on business, Mordecai Spector on Native and environmental politics, and Winona LaDuke is a regular contributor, along with many others. As important, The Circle has represented a strong, vibrant Native presence in the region, which needs and demands its own voice. For 35 years The Circle has been that voice, reinforced today by online resources at our website at thecirclenews.org. But the financial model that supported The Circle most of its life began declining about a decade ago. From the beginning, advertising revenue supported The Circle. As the primary vehicle to reach the regional Native community, the paper averaged more than $10,000 a month in advertising income through the first two decades, enough to cover all expenses. The Internet revolution cratered that financial model, as the ease of Internet communication gobbled up much of the advertising revenue. The Circle advertising has fallen nearly 80 percent from the averages prior to 2000, although The Circle remains the premier means of reaching the Native community. The Circle is in good company with this problem. Take my old employer, the StarTribune, where I served on the editorial board. The Cowles family sold the company for $1.4 billion in 1998. In 2006 the newspaper was sold for $530 million; in 2009 it filed for bankruptcy. Last year Glen Taylor purchased it for $100 million, one-fourteenth its value only 16 years before. That financial free fall is directly traceable to the decline of advertising revenue and the difficulty of raising comparable revenue from web-based information products. customer more than online advertising. Right now there are many ways to support The Circle. Wells Fargo, and API Supply Lifts support us. like ours find other revenue streams. to The Circle. We thank them. festive event that is looked forward to by the community. move forward? We need impute from the community on where we go next. one of The Circle issues. donation or sponsorship check while you’re at it. Thank for supporting The Circle. We look forward to a long future serving the Native community in Minnesota. Show Your Support for The Circle! Please consider becoming a supporting donor of The Circle. Your contribution will help The Circle continue to cover news, arts, and events in Minnesota’s Native American community, the only non-tribally owned newspaper in Minnesota. This is a great way to let your friends, colleagues, and co-workers know that you support an important service in the Indian community. And you’ll have the joy of knowing your money is going to a worthy service. The Circle is a 501(c)3 non-profit organization. The Circle offers sponsorship opportunities to corporations and businesses. This is good news for those smart businesses who understand the importance of creating relationships in the Native American communities in Minnesota. 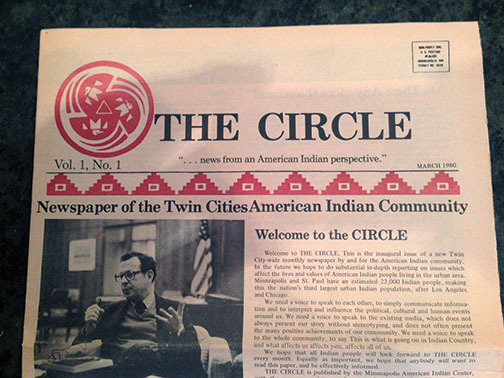 Every reservation (11) in Minnesota gets The Circle delivered to their tribal headquarters. When your logo appears in our newspaper as a sponsor, the message is sent that you support the Native American community. Please take a look at our new sponsorship levels and see how we can help you connect to Minnesota’s large American Indian community. For more information, call Cat Whipple at 612-722-3686. Sponsorship packages last for one year (12 issues) starting with the next issue after check is received. Sponsorships are NOT tax deductible.